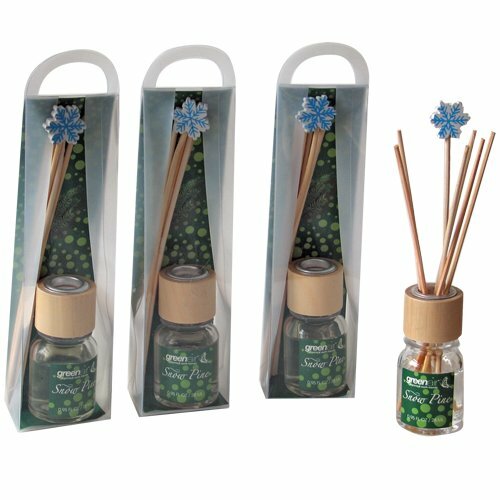 Reed home fragrance diffusers have become very popular. This type of diffuser is a simple system where the essential oil rises through the reeds and the diffuser releases the fragrance into the air. The essential oils or fragrance oils are a pure and natural base for fragrances and work nicely with reed diffusers. These are the best alternative to perfumed candles which need a flame to release the perfume or scent into the air. The reed diffusers on the other hand are perfectly safe as there is no flame or heat involved and the fragrance is also free from unwanted smoke. The best part about using a home fragrance diffuser is that these are completely environmentally friendly and do not require any kind of flame in order to work. They are also completely free of any alcohol content. They use natural essential oils as a fragrance base. There is no fear of messy wax deposits; no aerosols or artificial fragrances involved and no external power is required to make the product work. A reed diffuser can be placed in any room and can work for months without changing the set up. It also enhances the ambience of the place as it looks like a work of art. The set up is very easy to put up and as simple as a child’s play. The reed sticks are taken and dipped in the essential oil in a fanning out position. Alora Ambiance products were developed as a result of sisters Annie and Therese Gibbons finding a diffuser in the window of a small local shop whilst they were living in Lake Como, Italy. They did not like the fragrance particularly but, having discovered the Italian way of using a diffuser to wick fragrance into the home (although at the time, as far as I know, it was not called a diffuser), they decided to design their own product based on this diffuser. The result was the first three signature scents were introduced to America with the launch of Alora Ambiance in 2000. Although there are now countless diffusers on the market, the Alora brand remains the forerunner and is still the number one fragrance diffuser in Barneys of New York! 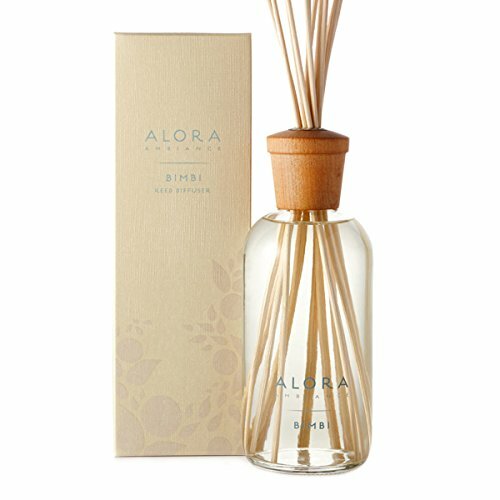 The diffuser is a deceptively simple design but Alora Ambiance products are made with great care and attention to detail and the result is a diffuser that is a stylish centrepiece as well as an effective room fragrance and air freshener. The liquid seeps up through the reeds and is diffused from the top of each, filling the room with the signature fragrance of the Alora product you have chosen. There are now many Alora Ambiance Fragrances and these make perfect and very acceptable gifts for any occasion. All the fragrance names are available on the Alora Ambiance Shop page on this site where you will find product links to read more about each fragrance.